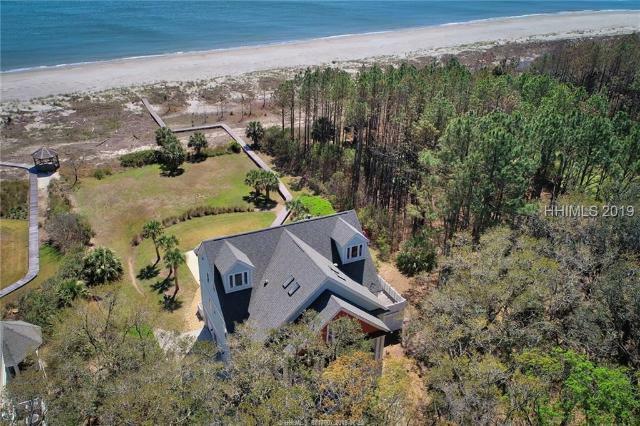 Beautiful home on over an acre of land over looking the Atlantic Ocean as well as #14 of Haig Points Signature golf course. 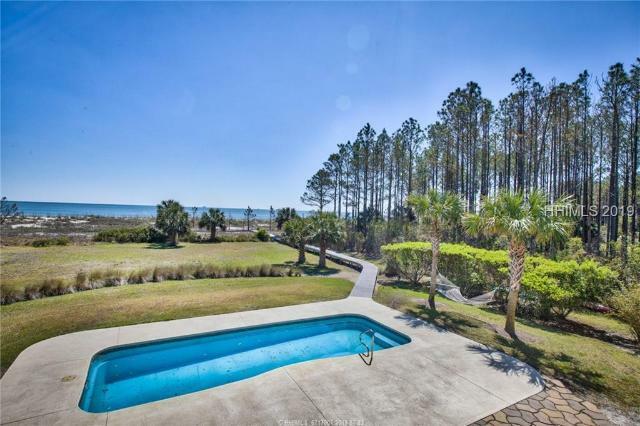 This home is one of very few with a private pool in the prestigious Haig Point community. This home was remodeled in 2018 with new wood floors, windows, guest wing, carpet and paint throughout. 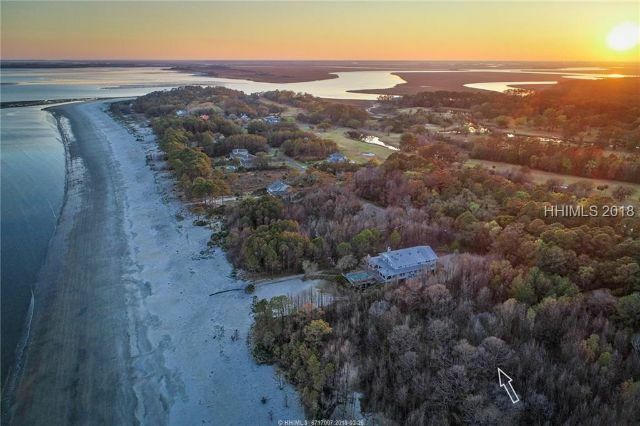 With all these amenities steps to the sandy beach of Daufuskie Island this property surely won't last at this price. A new home, never occupied in a beautiful setting. This open floorpan design has been admired from the beginning of construction. Natural woods and hand crafted moldings and trim throughout. A master and guest room on the first floor with two additional rooms upstairs for your family and friends. The Fifth bedroom and bath is an inlaw suite above the detached two cart garage for a private space to enjoy. A true gem well worth a look! Now being offered Furnished!! Southern Living approved Barefoot Interiors and Osprey Construction are a match made in custom home building heaven. 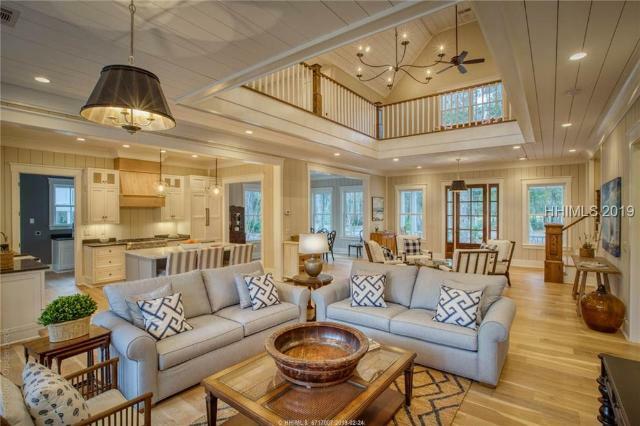 The award-winning designer and builder duo have created this one-of-a-kind home in the exclusive community of Haig Point on Daufuskie Island. One of only twelve exquisite cottages to be build on a freshwater peninsula within Haig Point's newest neighborhood. The Sanctuary. This 3 bed 3.5 bath home has 2,498 square feet of modern, rustic and oh-so-comfortable finishes that are sure to land a spot on HGTVs next visit to the island. Big roomy porches with rocking chairs and a swing bed. 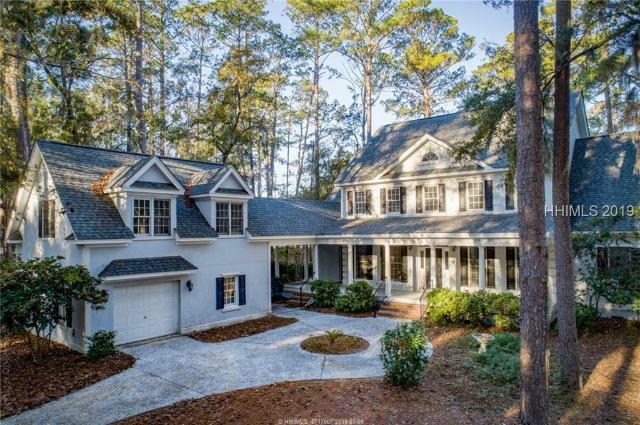 The classic Georgian low country architecture makes this one of Haig Point's most beautiful homes. The gracious foyer leads to the large open floor plan with chefs kitchen that opens to a spacious den/media room in this spectacular home. 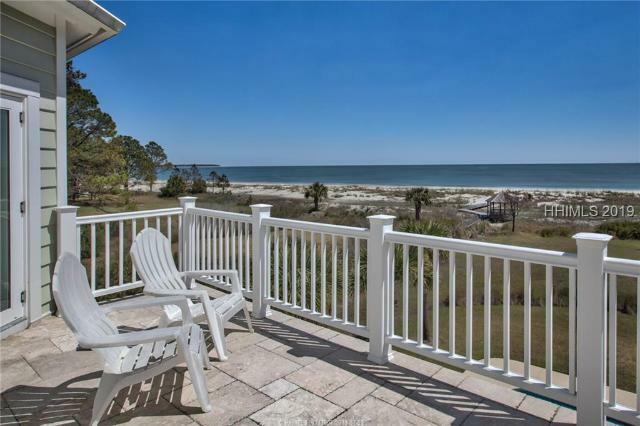 Large screened porches on both floors have double French doors which open to wonderful golf and lake view. Wonderful ceiling and moldings make this a true treasure with an office/library on the main floor and 3 BDR and 3.5 BA. a $20,000 membership purchase required in addition to sale of home. This stunning home on beautiful Forest Lake has been meticulously maintained and now available at an unbelievable price. Many new features have been added recently such as gorgeous wood floors throughout, a beautiful new rear deck for entertaining, freshly plumbed fireplace and much more. This home has a detached in-law suite which is perfect for guests. High ceilings inside gives you the feeling of an open floor plan with unbelievable views of the lake through the back. Hebal Block construction and the Good Cents electric rate also add to this home. With all this and much more this home will not last! Low country elegance updated with style: 4 BD, 4.5 BA + office, extensively renovated with open floor-plan, outstanding chef's kitchen and private office. High ceilings and light filled rooms overlooking Forest Lake and a large screened porch make entertaining a delight. The 1st floor Master suite has its own screened-in porch. Upper level has 3 en-suite bedrooms and a large sunny deck. 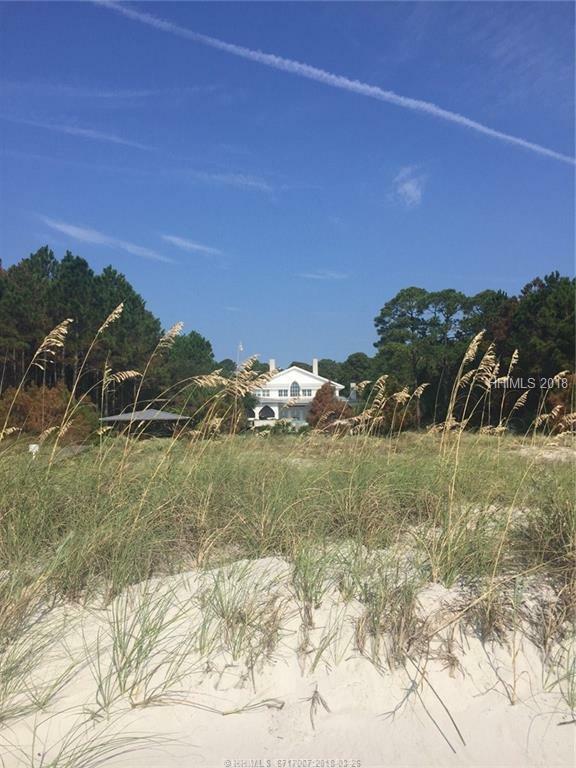 This 1 acre lot offers privacy, yet is conveniently near the dock, beach and clubhouse. Approx. Sq ft measured. The home is turnkey condition. $20K Haig Point Club initiation fee required with purchase. Large 21.33 acre parcel on Prospect Road. Parcel is a regular shape, half in a "C" zone, half in a "B"zone and has the possibility to subdivide subject to Beaufort County zoning laws. Property requires perk test for well and septic. 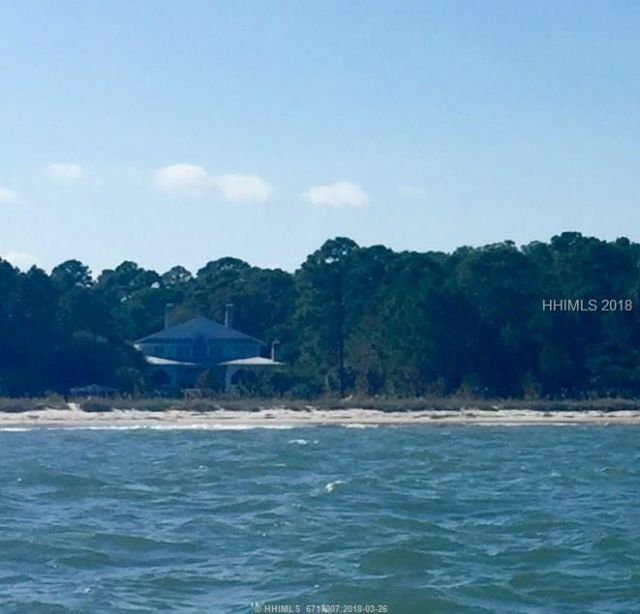 This is one o fthe last parcels on Daufuskie Island that is 21 acres and is not in the Cobra Zone. Property is subject to rollback tax. Walking distance to the Clubhouse with fabulous view of the lake, 10th fairway and green on the Haig Point Signature Course, this custom built home has been meticulously maintained and is beautifully decorated..ready for you to move right in. The 1st floor features antique heart pine floors, open floor plan, custom kitchen. Cozy den with fireplace and wrap around porches to catch the breezes from the sound complete this level. The 2nd flr is also all antique heart pine, three bedrooms w/tray ceilings, private baths & 2 upper screened porches. Two golf cart included. 24/7 Water transportation. Lovely low country home has been updated by current owners with a fresh new look. Carpets, Paint, Kitchen & Bathrooms are all updated, along with things like the two new HVAC Systems and a new roof make this the perfect place to start your island dream experience. 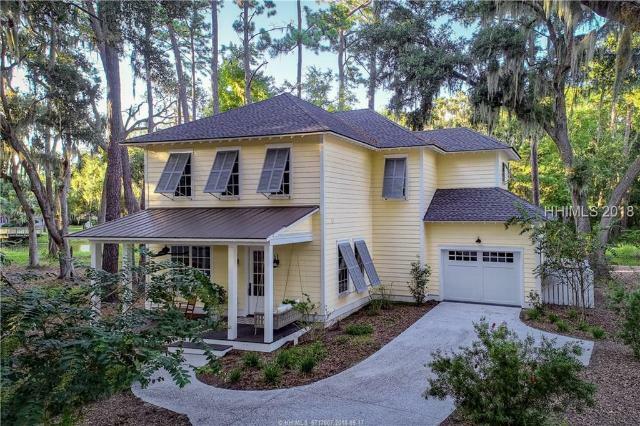 With 4 full bedrooms and 3.5 baths along with a study that would make a perfect office or media room you have all of the space your need to enjoy low country living. Porches across the front and the back complete the home. 24/7 Water transportation to and from HHI to your island oasis!